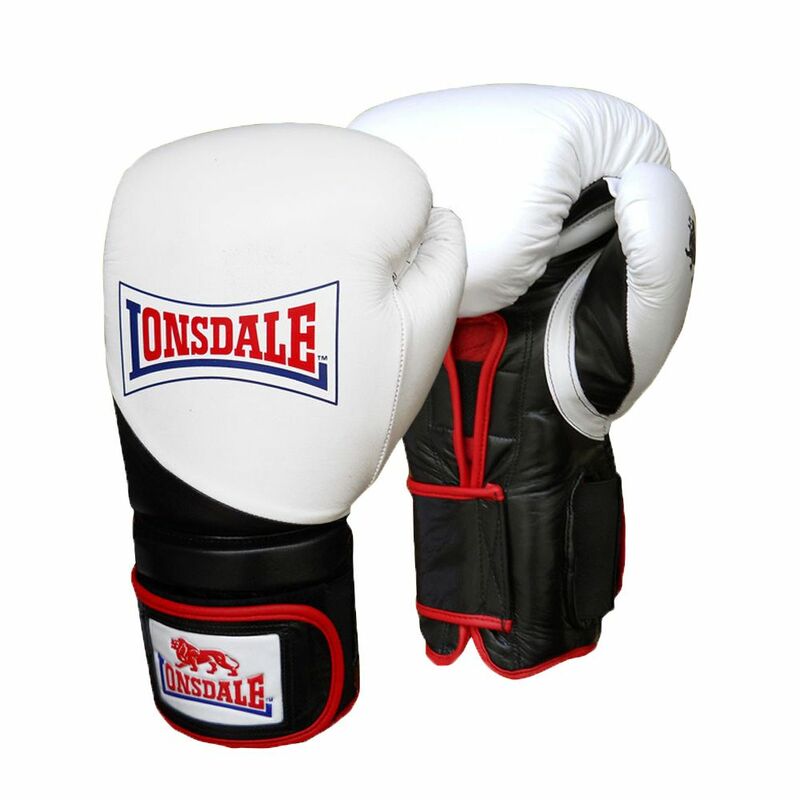 The Lonsdale Super Pro I-CORE training gloves (hook and loop) offer maximum support, protection and comfort for the professional fighter. They incorporate a Double Crossover hook and loop closure system and feature the finest grade hide leather outer cover with webbed thumb to ensure both security and durability. The Super Pro I-CORE gloves also include injected moulded core padding system, providing over 2.5” (6.4cm) of protective cushioning over the knuckle area of the hand. This anatomically shaped inner padding guarantees natural fit and delivers ultimate comfort and protection. for submitting product review about Lonsdale Super Pro I-CORE Training Glove Hook and Loop.